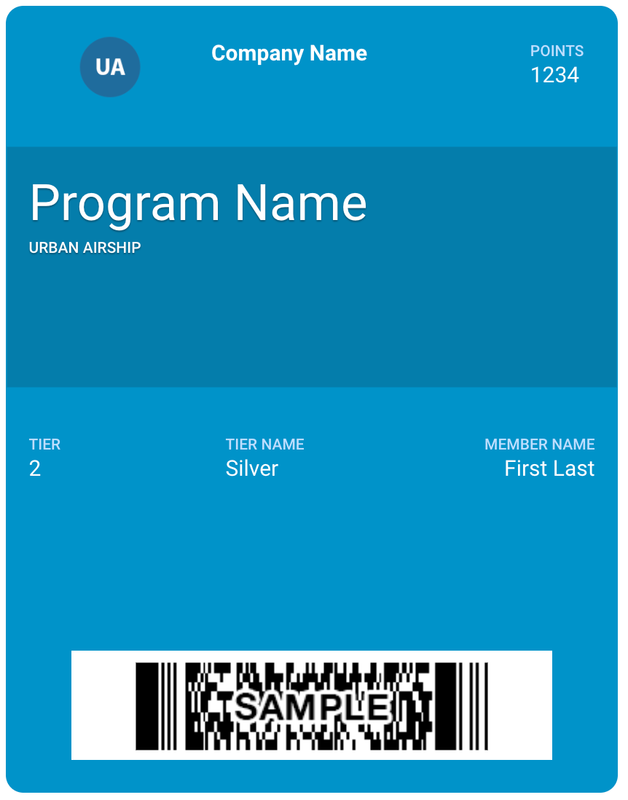 Design and usage reference for Airship Mobile Wallet passes. 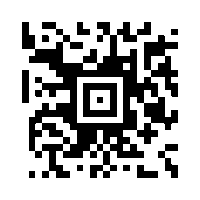 See the Mobile Wallet channel guide. 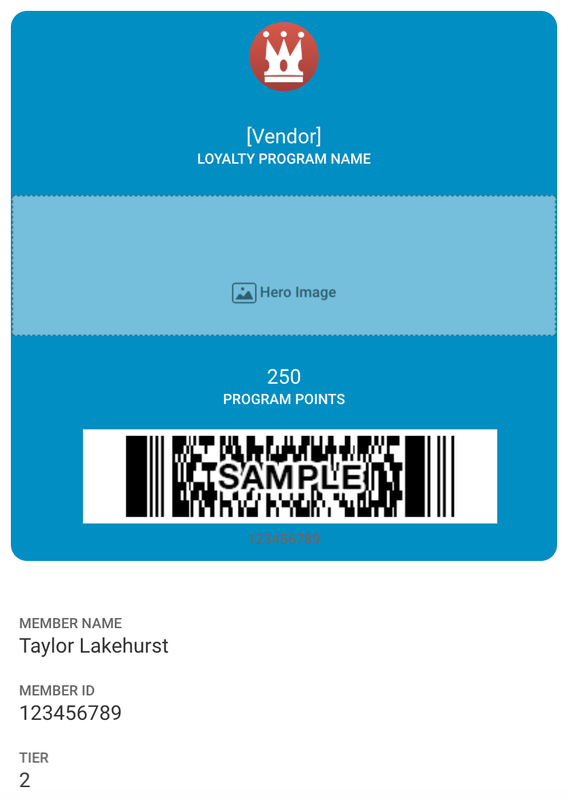 1Loyalty, gift card, and member card passes for Apple Wallet are based on Apple's Store Card pass style. 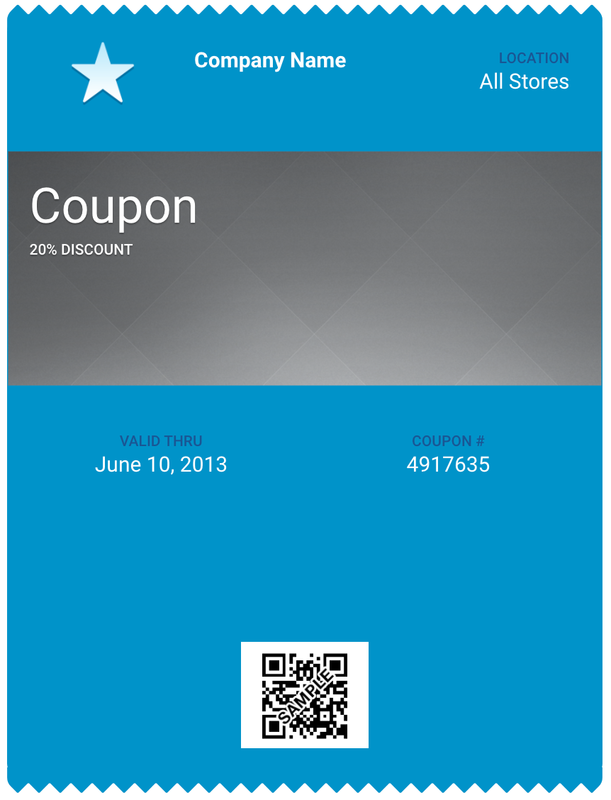 2Coupon passes for Google Pay are based on Google's Offer pass style. 1 Location can be used alone, but Date cannot be used without Location. 2 Date can be used alone, but Location cannot be used without Date. 3 You can specify a Date, a Location, or both. The triggers that will cause pass-related text to appear on the lock screen. The minimum required proximity to a defined location Trigger for Relevant Location text to appear on the lock screen. Location Radius is for Apple Wallet only. The proximity requirement for Google Pay is 150 meters for all pass types. The window of time before and after a defined date and time Trigger when Relevant Date text will appear on the lock screen. 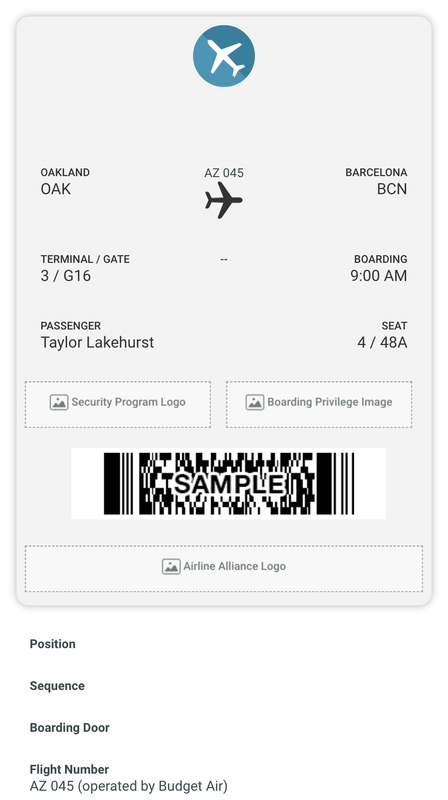 For Apple Wallet passes, also see Relevance Information Displays Passes on the Lock Screen, including Table 4-2, in Apple Wallet Developer Guide: Pass Design and Creation. In addition to the layout information provided here, please also refer to Apple and Google developer documentation for the position of fields, images, and other design elements for each pass type. Most passes can have up to three header fields, a single primary field, up to four secondary fields and up to four auxiliary fields. 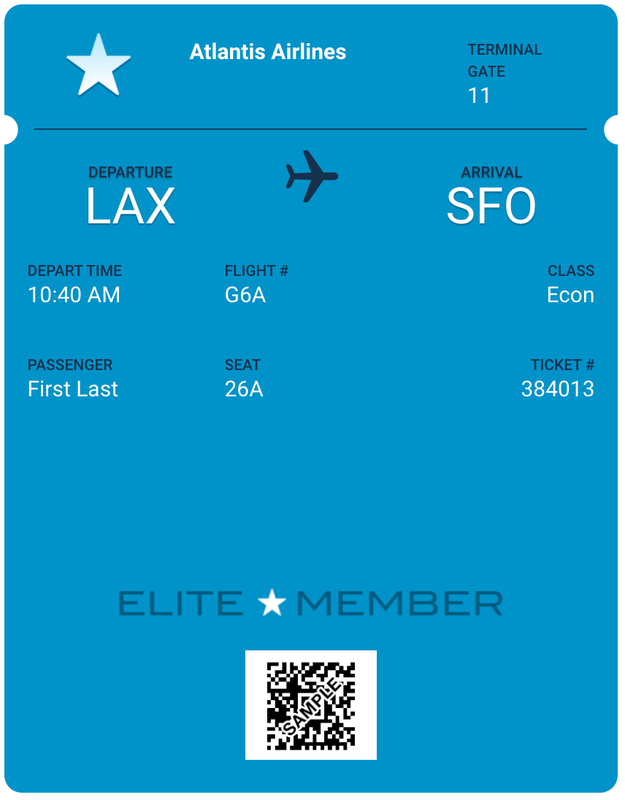 Boarding passes use two primary fields to show origination and destination. They also can have up to five auxiliary fields. 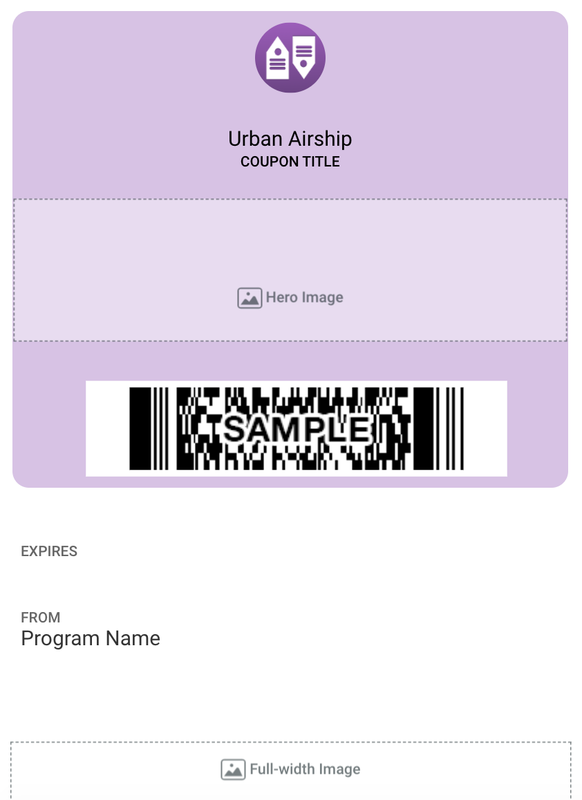 Coupons and Member Cards combine secondary and auxiliary fields onto a single line, for up to four fields total. 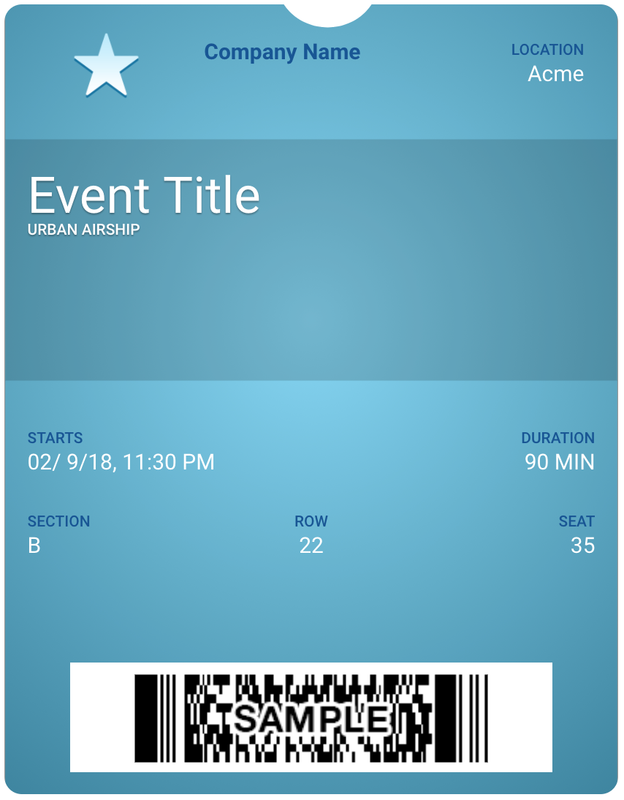 Event Tickets with a background image and Generic passes with a square bar code (QR code or Aztec) will not use auxiliary fields. The number of fields on a pass also depends on the text in each field. If there is too much text in a field, some fields will not be displayed. Pass type also determines the types of images that will appear on the pass. 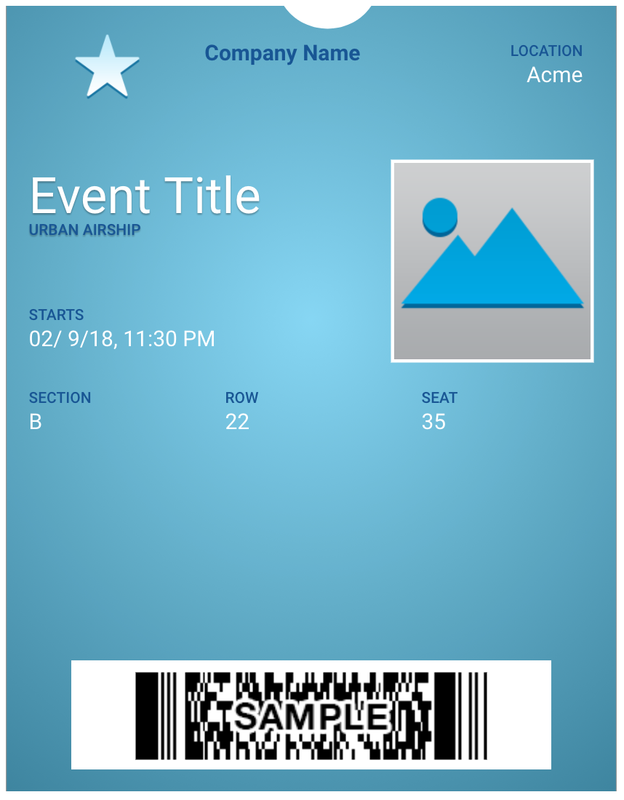 Event Ticket passes have two different layouts, determined by the type of images and/or barcode types that are selected. 1 Icon images are available on iOS only. 2 Hero images are available on Android only. 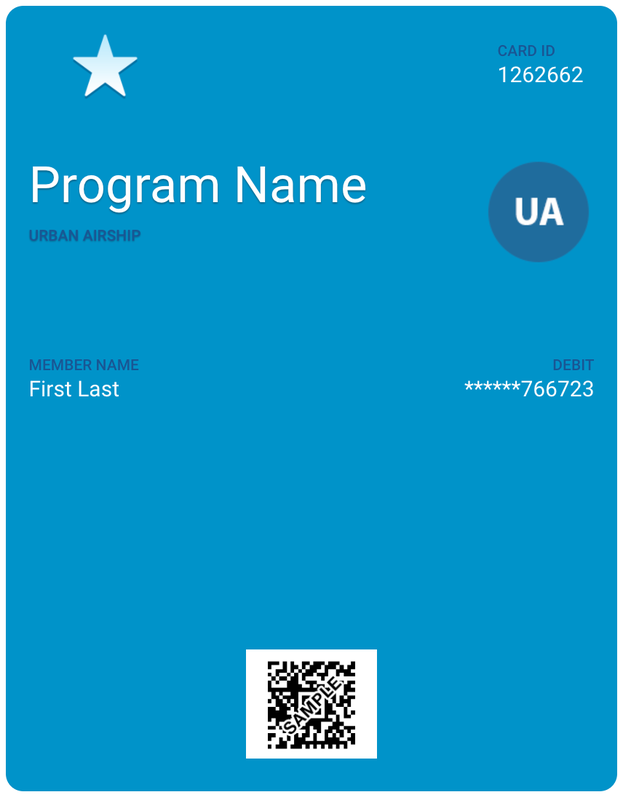 For Apple Wallet, each image type should adhere to the specifications below. 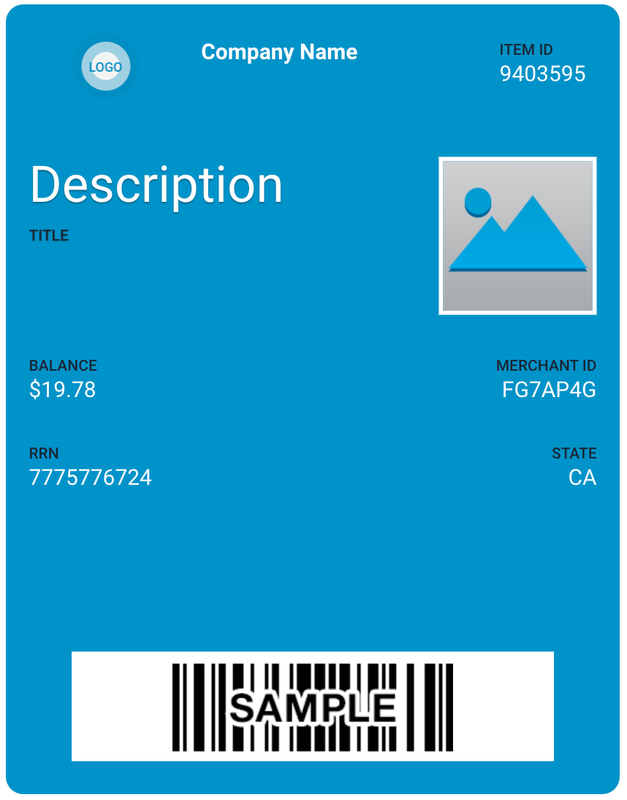 For Google Pay, specifications for each image type may change. The currently supported specs for Google Pay images can be found in the Google API Brand guidelines. Images that are too large are automatically resized, which may reduce quality or change the expected proportions of the image. Always send and install a test pass, and verify the pass's appearance prior to distribution to end users. Image file size limits are enforced when uploading via the dashboard or the API. The images below indicate where each field appears on the pass. In some cases, field placement is determined by the images selected. By default, templates allow pass sharing across users and devices. You can change the sharing policy for templates from the Templates menu for a wallet pass project. 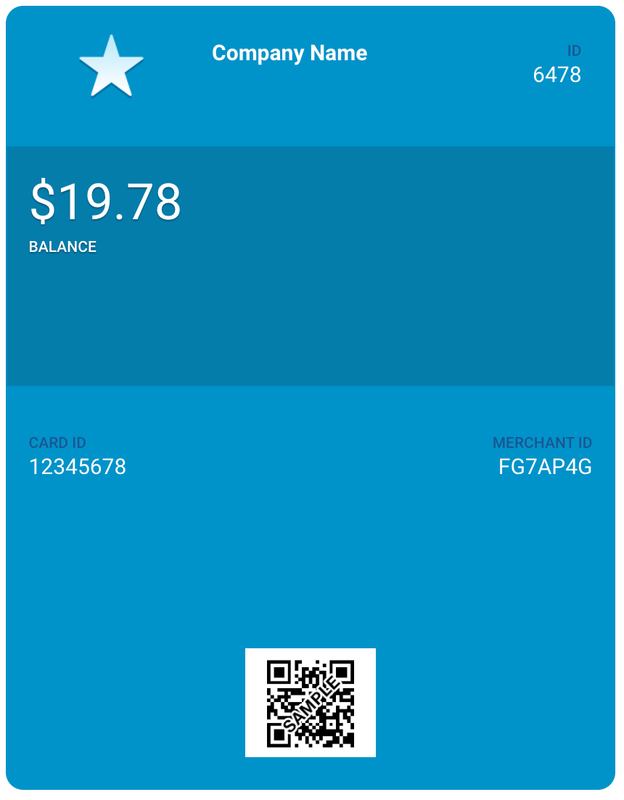 Apple Wallet and Google Pay support slightly different sharing settings. 1 Intended for use in limited circumstances. Contact Airship Support for additional information. We strongly advise using TLSv1.2 if possible. SSLv3 and TLSv1.1 are not available at this time. Apple Wallet: Pass URLs generated from Apple Wallet templates point to a stored .pkpass file. A .pkpass file can be considered similar to a PDF or any other document that you might link to. Google Pay: Pass URLs generated from Google Pay templates provide a deep link from Google into the Google Pay app so that the pass can be downloaded directly without requiring a browser window to facilitate the request. For additional detail about the publicUrl object and pass deep linking, see: API: Passes. 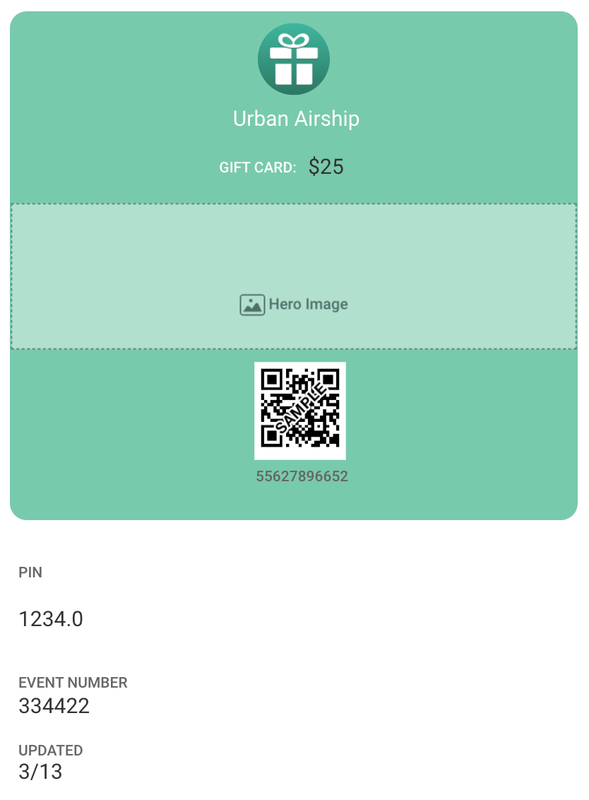 When generating a pass via the API, you have the option to create a publicly accessible URL for the pass, hosted at https://wallet-api.urbanairship.com. The Public URL can be either a single or multiple (multi-use) pass type, referring to the number of times the pass can be be downloaded. Use the Single option if you are creating a unique pass. A Single Public URL can only be downloaded once, but the user can share the pass from the Apple Wallet directly. Use the Multiple option if the pass is non-unique and can be downloaded by multiple devices and shared many times. A public URL is required for Android and optional for iOS. The URLs returned by the CSV Batch Importer are multi-use passes — they can be downloaded by multiple devices. By default, adaptive links expire after 6 months if they are unused. After you or a member of your audience uses an adaptive link to generate a pass, the link persists forever. If you generate passes for an entire audience from a single adaptive link, then generating a test pass will cause the link to persist forever. If you distribute personalized adaptive links to your whole audience, then it's likely that some adaptive links will expire after six months, as not all users will click or tap their personalized link. Passes generated from an adaptive link expire based on pass type or values set at the template or pass level. We've found inconsistent support of PNG image bit-depths by Apple Wallet and OS X PassViewer. 8-bit .png images are not currently supported by Apple Wallet. We recommend that you re-create your PNG at 24-bits (in Photoshop use Save for Web, and choose PNG-24), then re-upload your image in Airship Wallet. Corrupt graphics will sometimes cause an image to not appear on the pass. Regenerate your graphics using your favorite graphics editor (you can use Apple’s Preview.app if you prefer) as 24-bit PNGs and re-upload them to your Airship Wallet project. Icon image: This is displayed on the lock screen along with any notifications. It is also displayed when a pass is provided by an app, e.g., a mail attachment. See Pass Reference: Layouts for more information. 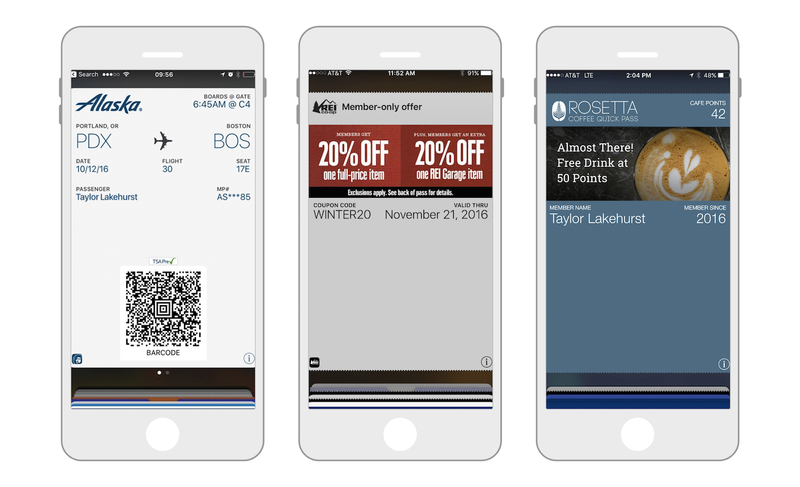 These are iOS examples of a boarding pass, a coupon, and a loyalty card.